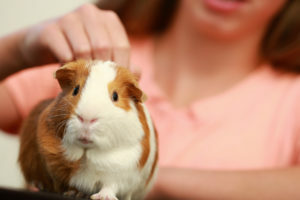 As part of a recent survey conducted by the Pets in the Classroom grant program, teachers across the U.S. and Canada have shared valuable insight into the many benefits that classroom pets can bring to the educational setting. The survey — which was conducted this spring and received 6,700 overwhelmingly positive responses from teachers who have received Pets in the Classroom grants within the past two years — reinforces what teachers have been sharing with the program through thank you notes, letters, photos, and stories: these miniature classmates are more than just another teaching tool. The Pets in the Classroom grant program was established by the Pet Care Trust with the knowledge that classroom pets can be a valuable teaching tool that many teachers do not have access to because of a lack of funding. 24,311 Pets in the Classroom grants were awarded during the 2017-18 school year — the largest number of grants awarded in a single year — bringing the total number of grants to over 119,300 since the program’s inception in 2011. With the significant impact that classroom pets are having on students, the Pets in the Classroom grant program is gearing up for another school year of providing funding to PreK – 9th grade teachers across the U.S. and Canada beginning August 1st. Learn more about the Pets in the Classroom grant program by visiting www.PetsintheClassroom.org.